Winter break is the perfect opportunity for many of us to sit at home and binge-watch our favorite shows or movies, and it seems like this winter break there was one Netflix original movie that everyone was talking about: Bird Box. 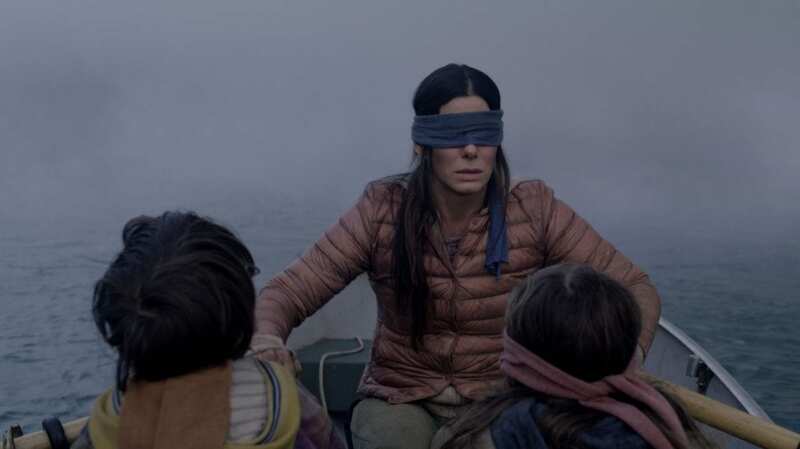 Released on December 13, 2018, Bird Box was a Christmas treat, and since its release, everyone has been talking about it. Whether it is the new viral Bird Box challenge or memes found all over the Internet, this movie is everywhere. If you have not seen it yet, it may be time for you to sit down and see what all the buzz is about. According to Netflix, over 45 million different accounts watched the film during its opening week. This broke the record for most views during a film’s first week on their site. The movie is rather dark and is based on the 2014 post-apocalyptic novel of the same name, written by Josh Malerman. The story follows protagonist Malorie—portrayed by Academy Award winner Sandra Bullock—as she tries to find her way to safety in the midst of a global emergency, where people commit suicide after seeing an invisible monster that “decimates the world’s population,” according to Netflix. Malorie encounters many people in her journey to safety, and also has the responsibility of protecting her unborn child. The movie also left many viewers wanting more and wanting answers to their questions. Fans were left wondering what the monsters physically looked like, what exactly the monsters show you that make you suicidal, and what happens to certain characters that disappear and reappear in the film. While there has been no announcement regarding a sequel, fans are still looking for more answers. Even though Netflix announced this past week that they will be increasing their subscription price, there are still plenty of original, new Netflix programs to watch, and Bird Box should be the first.